Salt Lake City, Utah (CNN) -- More than two decades after he killed two men in separate escape attempts, Ronnie Lee Gardner swears he is a changed man with a dream to help keep teens from making the mistakes he did. But, in arguments Friday before the Utah Board of Pardons and Parole, Assistant Attorney General Thomas Brunker suggested a more selfish motive. "This sounds to me like somebody who wants to save his life," Brunker said. 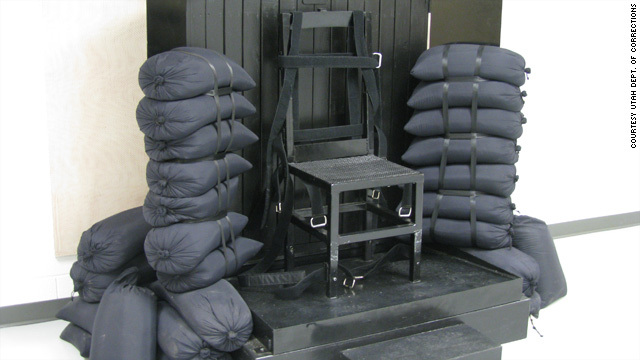 Gardner, 49, is set to be executed by firing squad on June 18 for the 1985 death of attorney Michael Burdell during an escape attempt at a courthouse in Salt Lake City. Gardner, who had a long history of violence and escapes, was at the courthouse on April 2, 1985, for a pretrial hearing in the 1984 slaying of Melvyn Otterstrom. He was killed at the Salt Lake City bar where he was working to earn extra money. Video: Ronnie Lee Gardner is scheduled to die June 18 before a Utah firing squad. The board held a two-day commutation hearing for Gardner. On Monday, the board will announce its decision on whether Gardner's life should be spared and his sentence commuted to life in prison without the possibility of parole. A majority vote of the five members is needed, said board spokesman Jim Hatch. Gardner and his defense attorney, Andrew Parnes, argued at the hearing that jurors in the Burdell murder trial were not given the option of deciding to sentence him to life without the possibility of parole. It was suggested during the trial, Parnes said, that Gardner might one day be released if jurors did not sentence him to death. Gardner pleaded guilty to second-degree murder in Otterstrom's death, and Parnes said the jury was not told of the judge's recommendation in that case that he never be freed from prison. In addition, Parnes has said jurors did not hear about Gardner's disadvantaged childhood, which was marked by poverty, abuse and neglect. On Friday, Parnes provided to the board copies of affidavits from four jurors in the 1985 trial, saying such evidence might have prompted them to consider a lesser sentence. "I was the last juror to agree to vote for the death penalty," one of the handwritten affidavits says. "I felt I was coerced ... at one point during deliberations, I locked myself in a bathroom to avoid the pressure I was feeling. I agreed to vote for death because I just wanted to go home and I just wanted it to be over." I agreed to vote for death because I just wanted to go home and I just wanted it to be over. Brunker pointed out, however, that the reason jurors in the trial never heard evidence regarding Gardner's childhood was that he refused to let his attorneys present it. As for the jurors, he said, their main concern was to keep Gardner -- a man who had twice escaped and twice killed during those escapes -- from killing again. The evidence, he said in his closing argument, is an "attempt to shift the blame ... to everybody but Mr. Gardner." Gardner and Parnes told the board he has changed his "horrendous" behavior in prison, without a major rule violation in 10 years and none at all in five years. 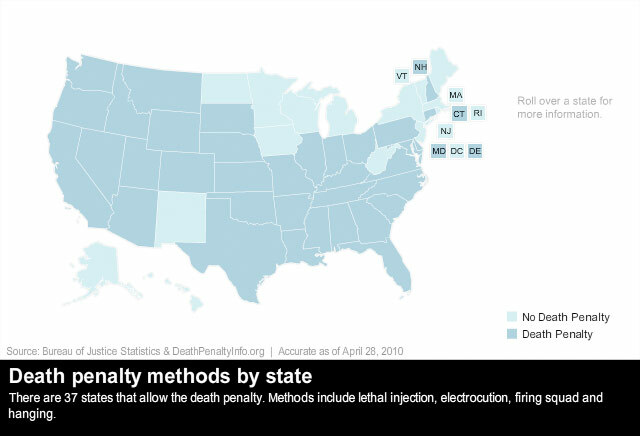 But Brunker pointed to his past record and noted that if Gardner's death sentence is commuted, "his incentive to conform to the rules will no longer be there. It's not worth the risk." "Even if he has made some changes, the board has to weigh this late change against a lengthy history of criminality and his refusal to obey the rules in prison and in the community," Brunker said. Gardner testified that he doesn't want to "live for the sake of living," although he accepts responsibility for his crimes and knows he will never leave prison. He said he and his brother want to use land they own in northwest Utah to start an organic farm for at-risk youths. Even if he is executed, Gardner said, his brother will proceed with the plan. Burdell's former fiancée, Donna Nu, testified that Burdell would not want Gardner to die for his crime, a sentiment echoed by Burdell's elderly father in videotaped testimony. Members of the Otterstrom family, as well as relatives of Nick Kirk, a bailiff wounded in the courthouse incident, said they support Gardner's execution. Brunker said a federal court reviewed Gardner's conviction, including the evidence regarding his childhood, and ruled it unlikely he would receive a different sentence at trial. Parnes said after the hearing that he is optimistic about the outcome and a pending decision by the Utah Supreme Court. Parnes had asked the court to order a new sentencing hearing for Gardner. "I think we're ready to have it over with," Kirk's daughter, Tami Stewart, said Friday after the hearing ended. She said she feels sorry for Gardner, but is afraid someone else will get hurt, perhaps another inmate or a prison guard, if his sentence is commuted. "We'll accept whatever they say," she said of the board. "I would hate to be in their position."